Hat Maker Tops Depp's "Public Enemies"
Chicago hat-maker Graham Thompson custom crafted the hats for Johnny Depp, Christian Bale in "Public Enemies." 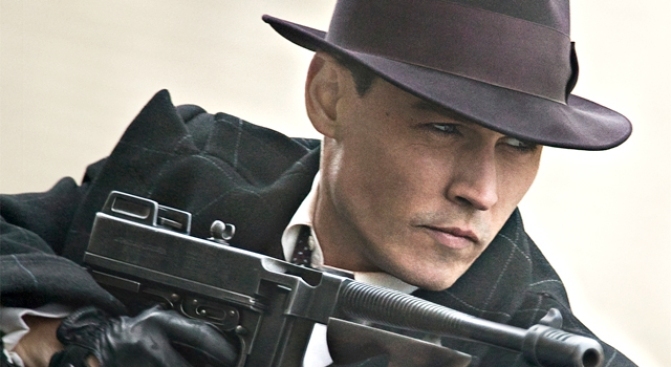 The hats worn by the stars in the new film, "Public Enemies" are the definition of 1930s style. One Chicago man made sure of it. Chicago hat-maker Graham Thompson custom crafted the hats for Johnny Depp and Christian Bale in the film, much of which was shot in the city. Thompson's proud to say his hats are period perfect, the Sun-Times reported. Thompson owns Optimo Hats where he sells hand-made men's hats in classic and custom styles. An Optimo hat doesn't come cheap -- they start at just over $500 -- but they're meant to last a lifetime. Depp, who Thompson calls "a real hat guy," has gone to Optimo for personal hats before. But he isn't the only celebrity heading to the Second City for hats. Chicago milliner Luke Song designed the hat Aretha Franklin famously wore to President Obama's inauguration in January.